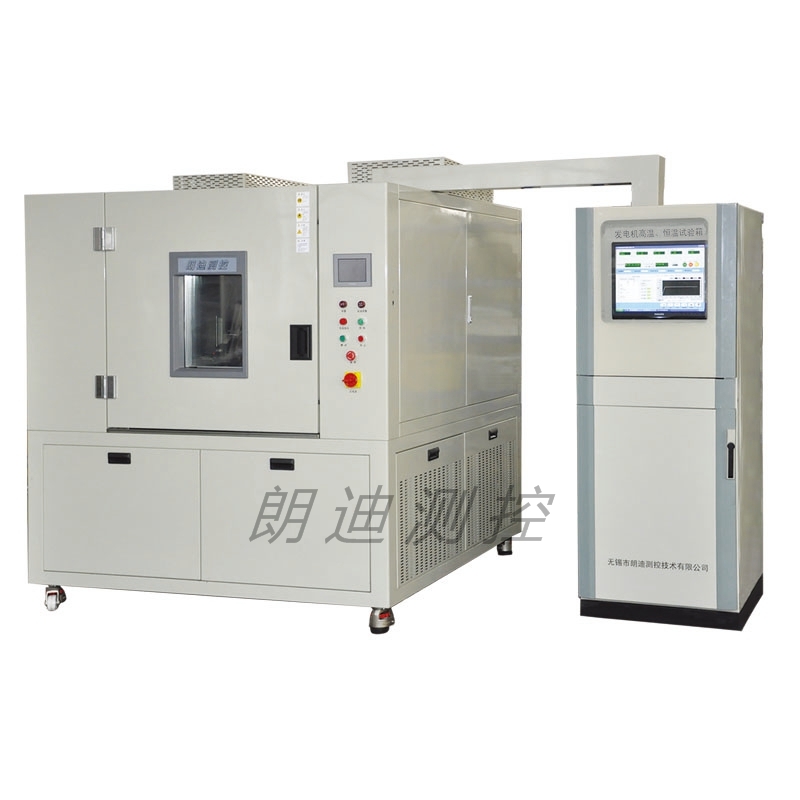 high-temperature durability test, high-temperature and high-speed test and urgent speed change test etc. ◆The single-station or double-station dragging design can meet the requirements of the different customers. ◆ The double station can test two generators with different models at the same time. ◆The reliable protection mechanism can stop the test and record the information of the abnormalities when the generator cannot generate electricity and is damaged or when the system is abnormal. ◆The user-defined process test can be conducted and the customers can define the test process to meet the various test needs. ◆The temperature, voltage and current are automatically controlled by the computer; multi signals can conduct the real-time monitoring with automatic alarm. ◆The data can be automatically saved and shall not disappear after power failure. ◆It can conduct real-time voltage and current curve display track and draw the curve during the urgent speed change with the acceleration of 1.5s and deceleration of 2s. ◆It can conduct automatic speed calibration. ◆The computer can control maximum-300A electric load; the voltage can be controlled within 6-30V with the resolution up to 0.01V.